I AM A STAY AT HOME MOTHER WITH A LOT OF SIDE HUSTLES TO HELP MAKE AND SAVE MY FAMILY MONEY WHILE STILL BEING ABLE TO GO OUT AND ENJOY LOCAL FAMILY FUN WITHOUT BREAKING THE BANK!! WITH 3 KIDS EVERYTHING CAN GET EXPENSIVE! 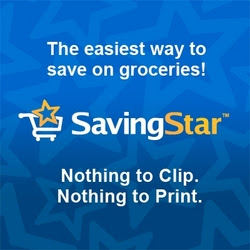 OVER MY YEARS OF COUPONING AND LEARNING NEW WAYS TO SAVE. 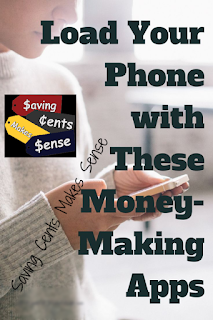 I HAVE COME ACROSS A FEW AWESOME APPS THAT I USE EVERYDAY TO MAKES ME A FEW EXTRA HUNDRED DOLLARS EACH MONTH FOR DOING PRETTY MUCH WHAT I WOULD DO ANYWAYS! IF YOUR READY TO START MAKING SOME EXTRA SPENDING CASH. CHECK THESE APPS OUT AND SEE WHAT THEY CAN DO FOR YOU! DOWNLOAD ALL THE APPS LISTED AND USE PROMO CODES OR LINK LISTED FOR ANY EXTRA CASH BONUS OR PROMOTIONS AVAILABLE JUST FOR SIGNING UP TODAY! DON'T PASS UP EXTRA MONEY BY NOT USING THE DIRECT LINK OR PROMO CODE! OK HERE YOU GO! 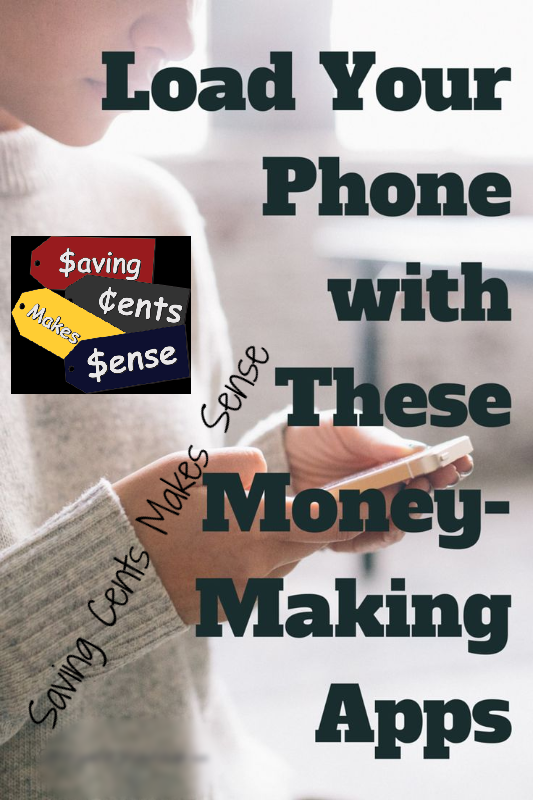 MAKE SURE TO THANK ME LATER AND USE THE APPS DAILY TO MAKE MONEY! Ibotta is an app for smartphones (Android and iPhone Device) that contains many different money saving offers for popular products. You can learn facts, watch videos and take one question surveys before purchasing a product to earn cash. Once you have purchased the product, you simply take a picture of your receipt showing your purchase of the item. 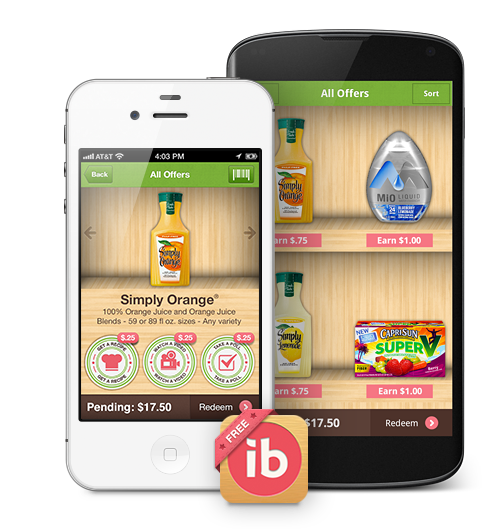 Ibotta allows you to earn up to $40 cash per shopping trip. Don't wait! Head on over here to sign-up for Ibotta and get your FREE $5 cash credit when you redeem your first offer ! 1. Cash Dash Alerts: We’ll send you a notification when you’re near a store where you can earn money, and the fun begins! 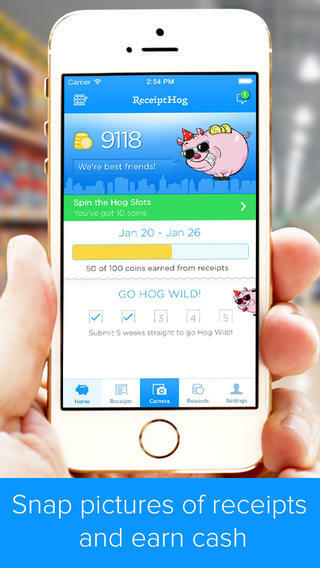 Just shop at the store, take a photo of your receipt, and submit it for cash. 2. Cash Cart: Create your own bonus offers. You can select items from a weekly circular ad to build cash back offers. 3. Cash Dash Tuesday: Get a bonus Cash Dash offer every week, without having to leave your home. 4. Dash Rewards: You can submit receipts for a percentage back (such as 5%) for one or more retailers. There are over 500 stores on Find&Save - Target, Macy’s, Nordstrom, Walmart, Best Buy, Safeway, CVS and Home Depot, just to name a few. ShopKicks helps you save money when you shop, and rewards you for shopping at your favorite stores. 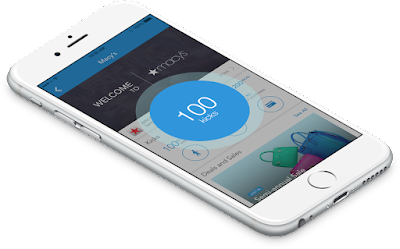 You collect kicks (reward points) just for walking into stores like Macy's, Best Buy, Target, Old Navy, Sports Authority, American Eagle, and Crate&Barrel and more. You don't even have to buy anything. Get more kicks when you scan items and make purchases. Turn your kicks into gift cards, iTunes song downloads, movie tickets, free dinners, even designer handbags, and trips. 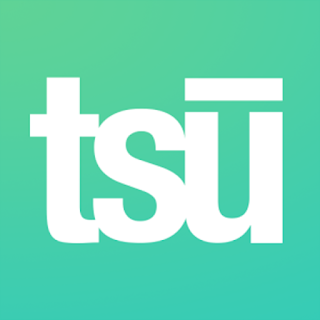 tsū is a free social network that pays you to post! So while your posting all your nice pictures, updates, and memes on Facebook, IG, and Twitter for free. Tsu pays you to do just that. Why not get paid a little extra for something your doing already for free? New members can only join tsū by user invitation (via member shortcodes.) And guess what? I have a shortcode Invitation for you :) ! USE MY LINK SHORTCODE HERE TO JOIN! Inbox Dollars is a Simple and Fun get paid to Play games online, Search the Web, Redeeming Coupons, Read emails, Take surveys online, and go shopping! Receive $5 just for joining when you sign up with this Link! CLICK HERE FOR LINK! Check it out I know you will like it! Keep in mind that if you sign up directly from the app store or website and forget use this link, you will miss out on any New Members $5 Signup Bonus. Dont pass up FREE money! CLICK HERE TO SIGNUP WITH SPECIAL LINK!